CINCINNATI — Less than a week after the massacre at a gay nightclub in Orlando, a group of open carry activists say they plan to bring guns to Cincinnati Pride. In the days since Omar Mateen opened fire on the patrons of Pulse, President Barack Obama has given multiple addresses on the subject of gun violence in the United States, Senate Democrats have staged a filibuster for gun reform and members of the LGBTQ community have come together across the nation for vigils honoring Mateen's 49 victims. For some, including GLAAD president and CEO Sarah Kate Ellis , the massacre has "stolen a sense of safety within the LGBTQ community," dredging up unwelcome memories of the 1969 Stonewall riots, the 1998 murder of Matthew Shepard and the knowledge that many gay, lesbian and transgender Americans still face violence because of irrevocable aspects of their identities. 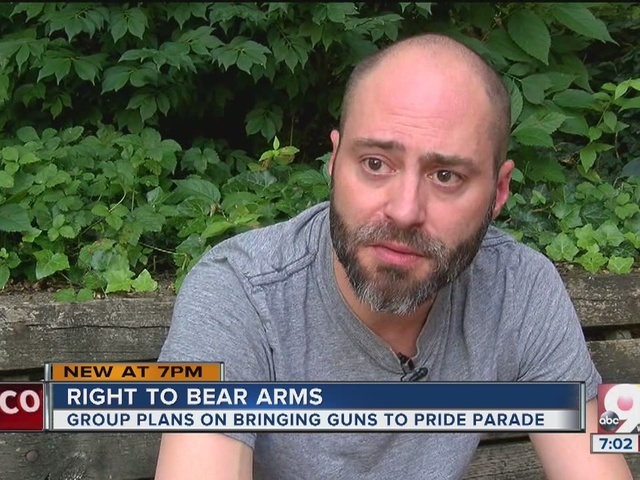 Now, a local group plans to address this issue by bringing firearms to the June 25 Cincinnati Pride Parade and attempting to convince paradegoers that more guns, not fewer, could be a solution. "Regardless of anyone's feelings, positive or negative, about members of the LGBTQ community, we all share the same inherent right of self-defense," reads the event's description on Facebook . 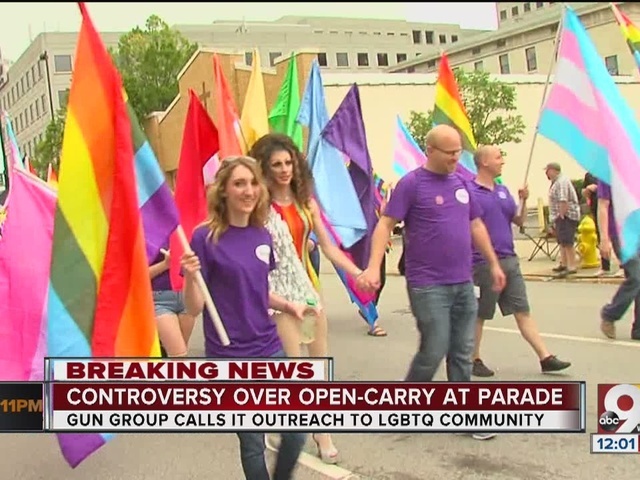 Open Carry Outreach at Cincinnati Pride is the brainchild of open carry activist Jeffry Smith, who last summer staged a similar demonstration to protest not being allowed to carry guns at the Cincinnati Zoo, and many commenters have responded with trepidation — even anger — to what they see as Smith's attempt to co-opt the Pride celebration for a political agenda. "After the LA incident, and what happened in Orlando, I want to feel safe and grieve with my community," wrote artist Sea Sprang on the event page. "Folks walking around with guns outside of law enforcement will not make me feel safe." "I understand where you're coming from on this idea," wrote Zach Moning, "but please understand that to the people who are attending the Pride event, the only thing they're going to see is a small group of people literally taking over their event at gunpoint. Whether or not you want them to see it that way is academic. That's what it's going to look like." Smith responded to these critical posts by locking comments on the event page and requiring all posts to have moderator approval before becoming visible. He was unavailable when WCPO reached out for comment. Nigel Cotterill, who hosted a vigil for the Orlando victims at his bar Below Zero Lounge Monday night, said he sees Pride as an occasion for community celebration and togetherness, and that introducing firearms into the situation would create a tense atmosphere. "Guns are not the solution, especially in a festival location with alcohol," Cotterill said. "It’s totally the wrong mix, in my opinion." Cincinnati police spokeswoman Tiffaney Hardy said the department's parade preparations are underway and they have taken the necessary steps to maintain public safety. "We are taking every measure to ensure the safety at the Cincinnati Pride Parade and Festivities,” Cincinnati City Manager Harry Black said. “Plans are in place and we are coordinating with law enforcement at the local, state, and federal level to ensure the safety of everyone in attendance."